If we're talking tequila in the United States, the margarita is by far the most popular tequila-based cocktail. And while southern states like Arizona may be well-known for their affinity for this agave-based beverage, northern states, like Pennsylvania, in this case, appreciate it in their own way. Cool off this summer with one of the best margaritas in the state. In the heart of center city Philly is Mission Taqueria. They offer a "wide range" of margaritas like Frozen Strawberry-Rhubarb or Mango-Chile-Lime, Green Juice, and other delicious cocktails. If you're not one who's tantalized by tequila, don't worry—there's Dos Equis, Corona, and draft beer, too. Where's a better place to go for a tequila-infused margarita than a dedicated tequila bar? If you're in Pennsylvania and looking for one, let El Barrio Cantina be your margarita savior. There are spicy, tropical, strawberry-basil, and signature options, so your tequila 5-a-day is more than covered. Take a look at the menu, and you'll see that the margarita options at El Poquitio are, well, limited. 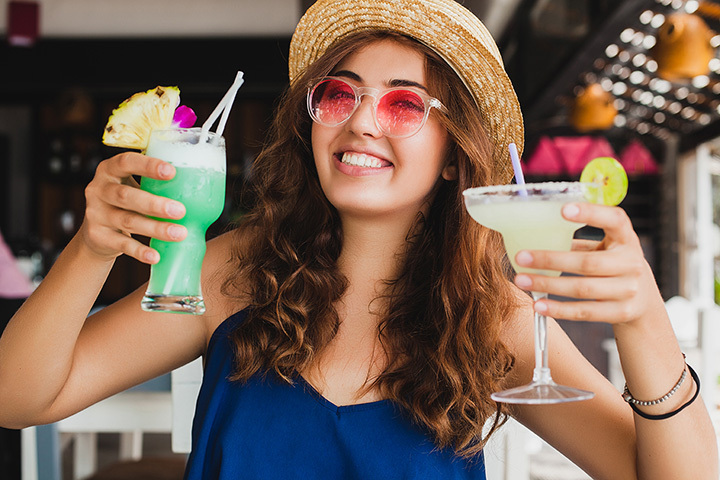 However, the traditional, frozen, and beer-infused margarita are all crafted with care, as is everything else on the menu—so you won't be disappointed no matter what you try. We'd recommend the Banh Mi street tacos, too, as they are a worthy companion to any margarita. If we had to describe the margarita selection at Mad Mex in one word, it would be LIT. You're spoiled for choice, here. And if you don't find a marg on the menu that speaks to you? (We're salivating over the Blackberry Thyme option, honestly) You can create your own. Did we just die and go to margarita heaven? Maybe. Al Pastor bills itself as a modern Mexican eatery. Take one look at their drink menu and you'll see the Al Pastor margarita which features not a salted rim, but an allspice one. If that doesn't scream modern to you, we don't know what does. Give it a try and be sure to let us know what you think. We're certainly curious. If there's one thing Pittsburgh's Tako doesn't do, it's mess around. Both the margarita and the taco options here are serious business. The former has not one, two, or three different varieties—but nine! There's grapefruit, pineapple, and coconut, to name a few. Drinks are flowing at Havana in New Hope, and while there may only be one margarita on the restaurant's extensive drink menu, there are a lot of other options to choose from. Try the Pomegranate margarita or go for one of the 10+ mojitos. Blueberry Ginger is calling! El Sol has a massive amount of margarita options—sure to meet any tequila fan's needs. Order a house margarita, or if you're feeling fancy, splurge on the Million Dollar margarita. It may run you a cool $50, but it comes with bragging rights, so it's a win-win. Margaritas are lively and colorful at the Margarita King in Mercer. Choose from a classic, or one of the restaurant's 10 flavored margaritas in small, regular, or a pitcher size. To make your decision even more difficult, there are Gold, Top Shelf, and Corona-infused margaritas, too. Good luck! No matter which El Rodeo location you race over to, you can always count on quenching your thirst with a tasty margarita. We have two words for you: Guava and Kiwi. Need we say more?